When I saw this challenge, I knew what I had to do. 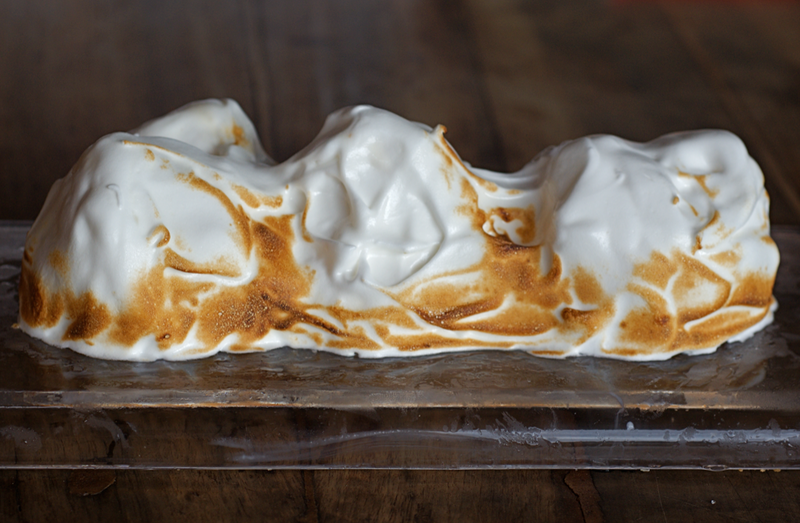 I've made baked alaska a few times before, but this time I wanted to do something a bit different with the shape - and so I present to you... Baked Alps! I adore mountains, especially the bit of the Swiss Alps where my mum lives. They're like home and yet are the most exciting, changeable place to be. Nothing is ever boring in the mountains. To make my Alps, I simply cut out a bit of the cake in the right shape and then sculpted the mountains with the ice cream. 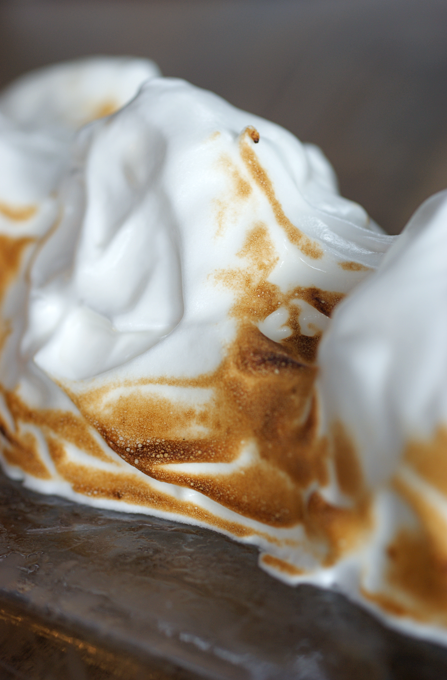 I then made some french meringue and used a small palette knife to cover and perfect my range. I then used a kitchen blowtorch to make them look more realistic. I'd say this is a picture of the alps in mid-late spring - the brown areas are a combination of the trees and also the snow melting, leaving the bare ground. For this reason, there is a swathe all around the bottom and then more up along the south, sunny side (to the right of the pictures). My favourite addition to baked alaskas is a fruit layer between the ice cream and cake. The last one I made had an almond and orange sponge base topped with mixed summer fruits which were lightly cooked and then topped with vanilla ice cream and meringue. I feel the sharpness of the fruits is really needed to cut through the sweetness of the rest of the dessert. For my alps I decided to use a layer of fresh blackberries. Though I absolutely adored making the shape and using the blow torch a bit like a brush, I wasn't hugely pleased with the recipe - though all I think doesn't work is that the cake base and fruit becomes rock solid with all the freezer time. The cake also lost a huge amount of taste when frozen. If I were to make this again, I would sculpt the ice cream on some clingfilm and freeze that, then simply top the cake and fruit with it before covering with meringue and torching. Despite this, baked alaska is an amazing dessert. 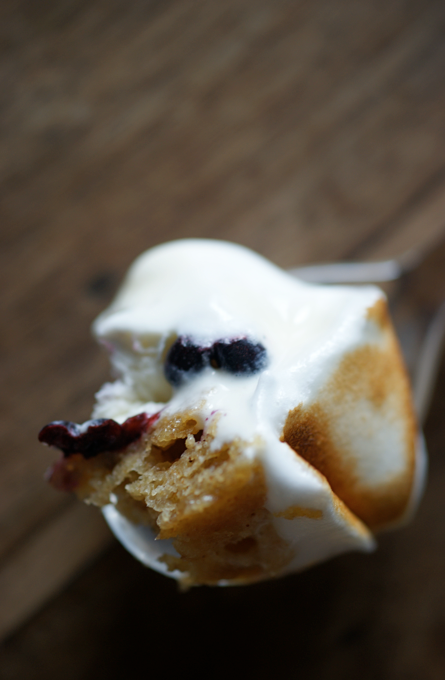 I have always thought that I were ever to host a DB challenge, I would choose baked alaska. See the challenge recipe, here. I made a half measure of the challenge recipe for the pound cake in a rectangular tin (I had leftovers). I added a layer of fresh blackberries in between the cake and ice cream. I made a french meringue with 1 egg white and 55g of caster sugar as I didn't need much. Your challenge is beautiful - wish I got to do it for this month! Anyhow, a job well done! Enjoy eating it! Wow, you were so creative both with the Alpes design and the fruit between the cake and the ice cream. I agree with you about freezing the cake, and I was concerned about that before making mine, so I decided to make all the steps separately, and assembled at the time of serving. By the way, my guests really enjoyed participating on the "making of"! It was fun. Thanks for your lovely comment on my post. Beautifully done! 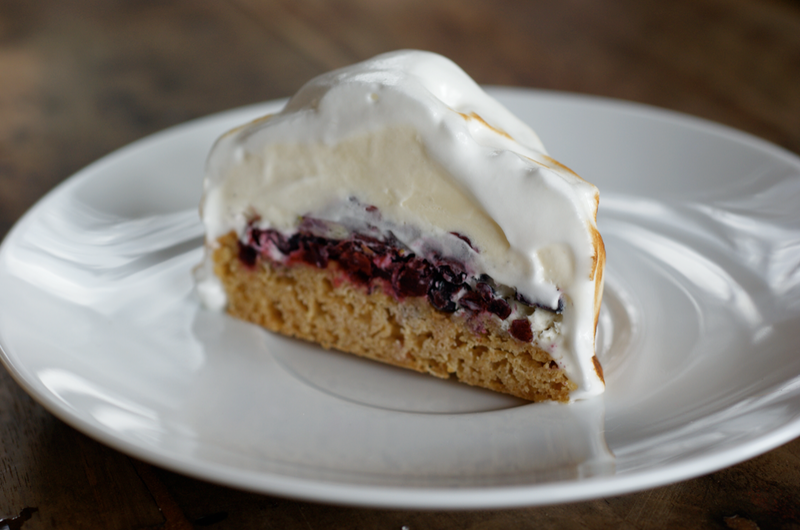 I agree about the browned butter cake losing flavor when frozen, but your baked alps still looks delicious! So beautiful! I love the addition of the blackberries. Thank you for visiting my blog, particularly as it allowed me to find yours! I am very impressed by your alps, particularly your dedication to geographical accuracy in forming the snow and tree-scapes - too funny! The blackberry layer looks delicious too. I didn't freeze the cake in mine because I misread the recipe. I also didn't like the idea of frozen cake - seemed to work out ok. This is so funny, clever and creative! Adorable! And how I love that fruit layer! Yum! Excellent job! Great job, gorgeous - great idea - LOVE your blog! Yes, definitely Alps and not Rockies! Compared it looking out the window. So, so gorgeous! What a great idea. I've always wanted to visit Europe, and see the Alps in particular. Maybe someday :) Love your blog! Baked Alps is a genius idea, and it's even seasonally correct! 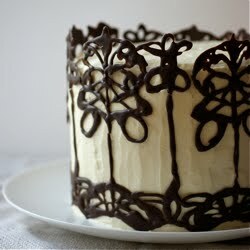 I agree about the cake, and will definitely include a tart fruit layer next time. 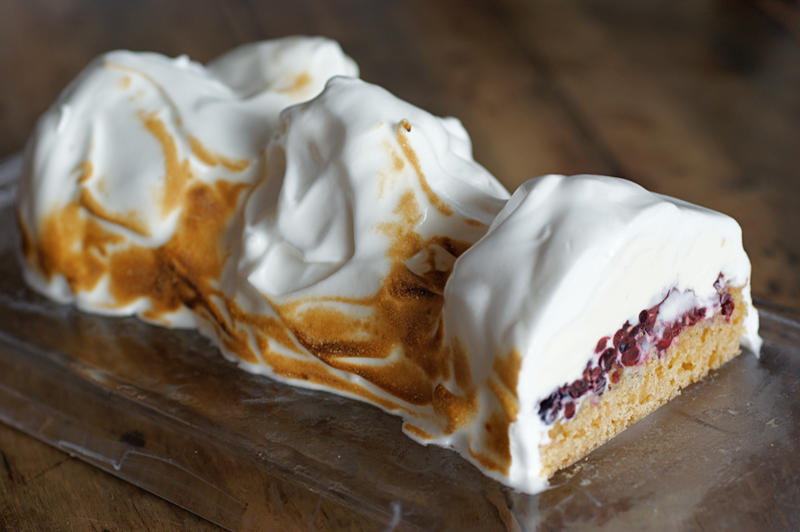 Love love love the way you did this, Alps, fruit within and meringue! I'd love to do it your way ... need a torch! Your baked Alps looks quite realistic. Great idea. Baked Alps, what a great idea! I admire your imagination :) Putting blackberries inbetween was also a great idea. Bravo! Great idea to do the alps! And the blackberry layer sounds delicious. Well done! Looks awesome! So unique. Great idea to put in a layer of fruit. yum. Gorgeous! 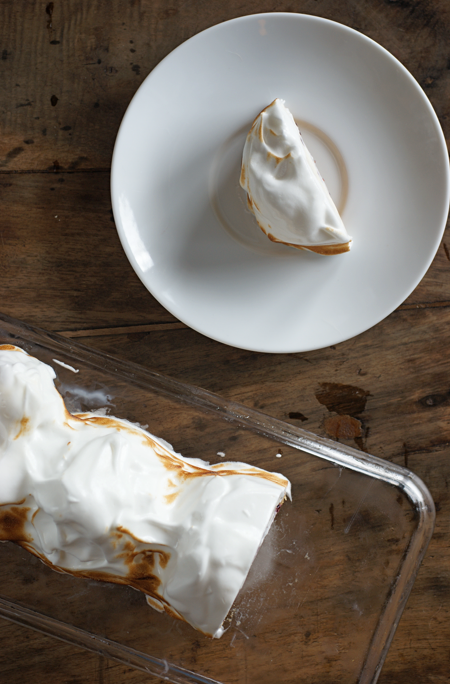 I've never done any kind of baked Alaska Dish, but you've made it look so simple. I love the idea of multiple peaks instead of one huge dome. Totally original.